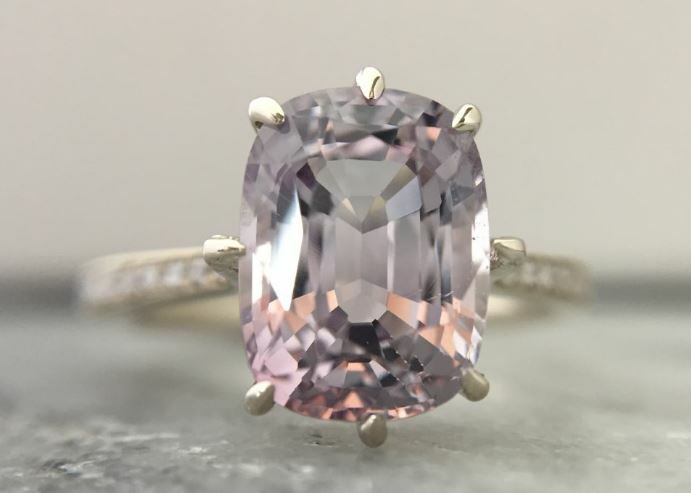 A simple solitaire that has been decked out in diamonds. 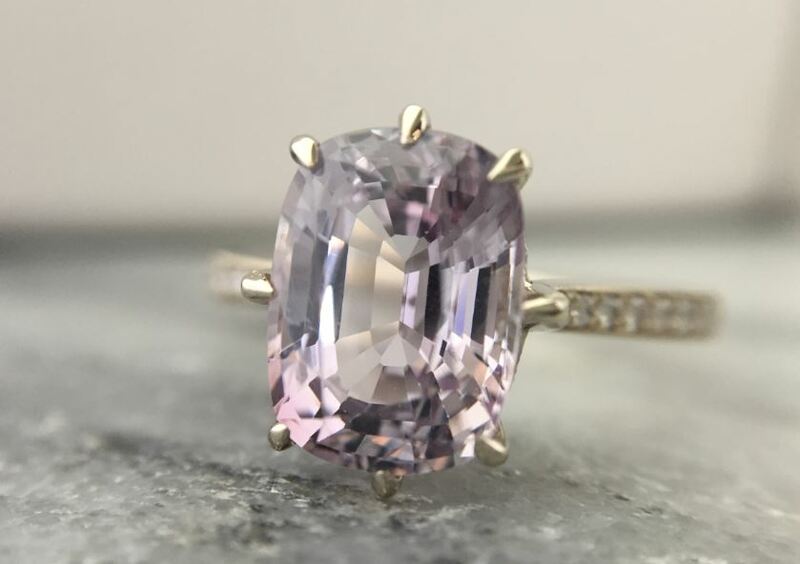 Streamlined to focus all of the attention on the center stone, with a touch of antique flair in the extra stability of eight prongs. 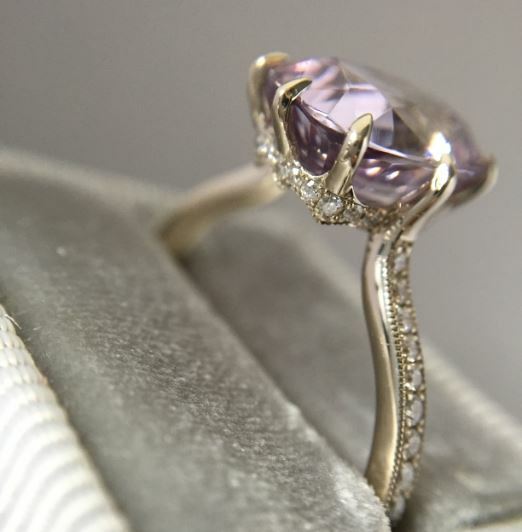 Shown with a 3.48 carat pink-gray spinel in 18kt white gold. The Obstinée ring is available by special order. Please contact us with inquiries. 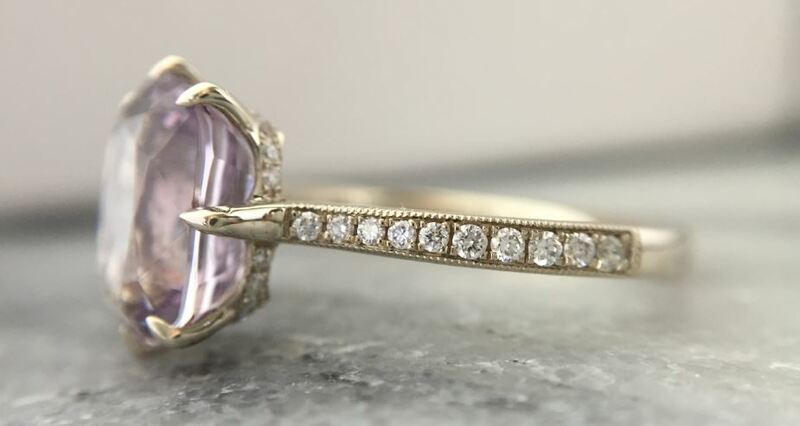 Starting at $1,450 in 14kt gold.